Israeli Intelligence and Transportation Minister Yisrael Katz demanded on Tuesday the execution of convicted Palestinian prisoners. Katz tweeted Monday evening that Marwan al-Barghouti should have been given the death penalty instead of been sentenced to life imprisonment, where he is currently leading a hunger strike to improve prisoners detention conditions. 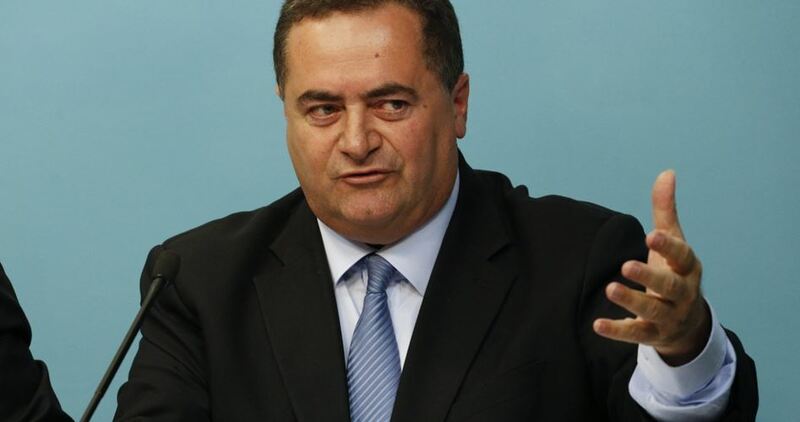 Katz calls on Israeli leaders including Army Minister Avigdor Lieberman to vote for enforcing the law bill that allows the death penalty to be applied against Palestinian prisoners. On Monday, hundreds of Palestinian prisoners began a mass hunger strike scheduled to coincide with Palestinian Prisoner Day, an annual event held in solidarity with the more than 6,000 Palestinian prisoners incarcerated in Israeli jails. Detainees and Ex-detainees Committee along with Palestinian Prisoner Society announced that lawyers of organizations concerned with Palestinian prisoners' affairs will boycott Israeli courts starting from next Wednesday. The media committee of both parties revealed that the boycott decision followed a series of Israeli punitive measures including isolating hunger striking captives and denying them the right of seeing their lawyers other than deprivation of family visits and confiscation of private properties. The Israeli occupation authorities (IOA) prevented on Monday morning lawyers from visiting Palestinian hunger strikers in Israeli jails to verify reported violations. According to a joint statement by the Prisoners’ and Ex-prisoners’ Commission and the Palestinian Prisoners Society (PPS), the Israeli prison authorities at Gilboa jail banned the lawyers from visiting the Palestinian detainees, on the second day of the mass hunger strike in Israeli jails. The ban was issued under the pretext of the state of emergency imposed by the occupation authorities as of Monday, the first day of the mass hunger strike. The Israeli prison service claimed the detainees can neither stand on their feet nor move to visit halls. PPS and the Prisoners’ Commission said a committee has been appointed by the legal crew to follow up on the hunger strike and make the necessary legal steps so as to enable the lawyers to visit the Palestinian detainees and document the violations perpetrated against the hunger strikers in Israeli lock-ups. The Israeli Prison Authority has isolated all hunger striking Palestinian detainees, canceled all family visits in addition to illegally confiscating all their belongings, including clothes except for what they are wearing. Fares added that the Prison Authority has also transferred dozens of detainees from the prisons they are held at, to various detention centers and placed many in solitary confinement, in addition to isolating the rest in one section. The International Red Cross said that it informed the families of Israel’s decision to cancel all visits until further notice, in addition to the confiscation of their clothes and belongings, and isolating them in their rooms. It added that Israel has also installed a field clinic in the Negev desert to use for placing the ailing hunger striking detainees after deciding not to move any of them to Israeli hospitals. Also, the prisons, where the detainees have access to TV, had their satellite receptions blocked from all Palestinian and Arab TV stations. 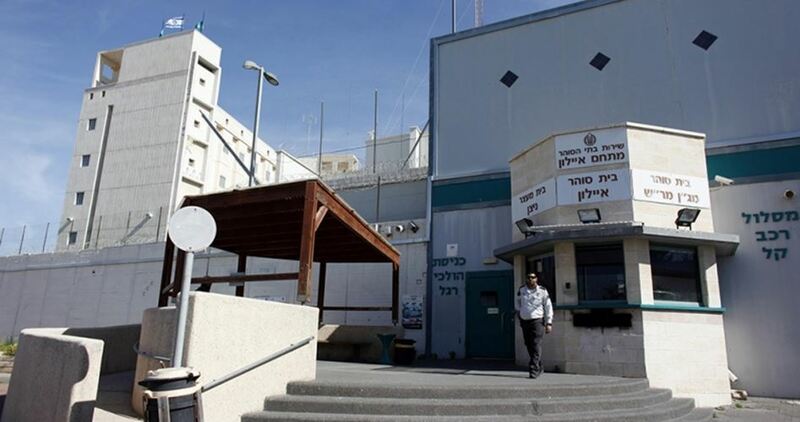 Furthermore, the Palestinian Detainees’ Committee and the Palestinian Prisoner Society have reported that the prison authority in Galboa’ Israeli prison has prevented the lawyers from visiting with hunger striking detainees. Furthermore, Israeli has moved at least 35 detainees from Section 11 to Section 13, in Nafha Israeli prison, in addition to transferring what it regards as “strike leaders” to various other prisons, and forced many of them into solitary confinement. Among them are detained leaders, legislator Marwan Barghouthi, and Karim Younis, who were transferred from solitary confinement in Hadarim to solitary confinement in al-Jalama prison. 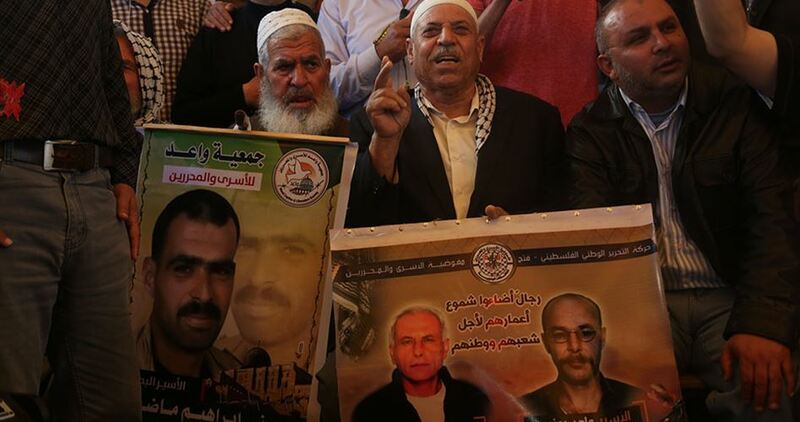 Dozens of Palestinians on Monday evening participated in a vigil staged outside the Church of the Nativity in Bethlehem city in support of the hunger-striking prisoners in Israeli jails. The participants, including relatives of prisoners and human rights activists, lit candles and carried pictures of detainees and placards to express their solidarity with them. According to a reporter from the Palestinian Information Center (PIC), speeches delivered during the sit-in called for necessarily supporting the prisoners and standing by them during their hunger strike battle. 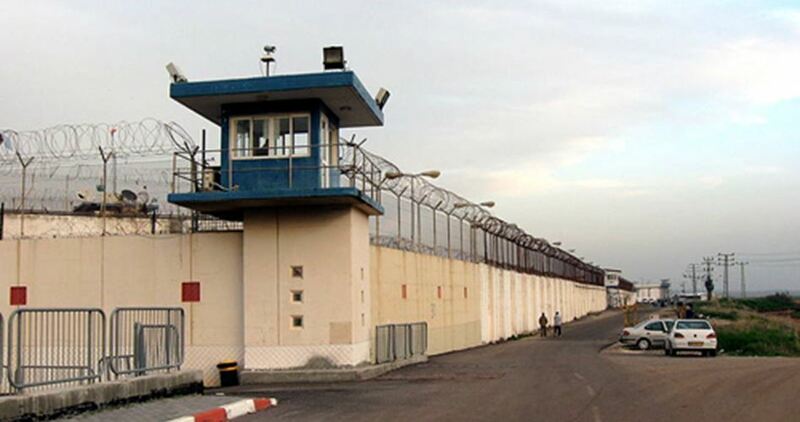 Issa Qaraqe, head of the commission for detainees’ and ex-detainees’ affairs, said the current hunger strike unified the Palestinian people from all spectra, stressing the importance of helping the prisoners to win their battle against their jailers. Qaraqe said the prisoners’ demands are natural and legitimate under international law. “They are only defending their dignity and rebelling against the injustice and humiliation they are exposed to in prisons,” he added. 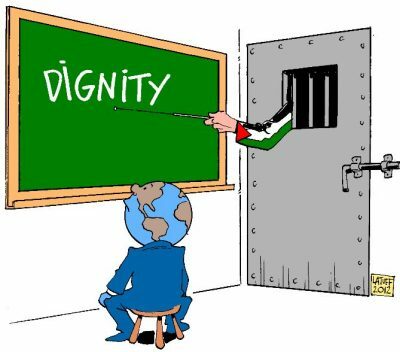 Today, 17 April 2017, marks the Palestinian Prisoners’ Day. Over 6,500 Palestinian and Arab prisoners have been detained in the Israeli jails and detention centers under cruel and inhumane conditions. The Palestinians commemorate this day since 1979, supporting the cause of prisoners detained in the Israeli jails, as it marks the anniversary of the first prisoner released in the first prisoners’ exchange deal between the Palestinians and the Israeli occupation on 17 April 1974. This occasion comes in a time whilst the suffering of the Palestinian prisoners in the Israeli prisons has exacerbated due to the Israeli violations and punitive measures taken against them. These prisoners are regularly subject to cruel, inhuman or degrading treatment, including torture; denial of family visitation; naked search; night raids; solitary confinement; medical negligence; denial of education under a decision issued by the Israeli Prison Service on 20 July 2011; applying the force-feeding law against prisoners on hunger strike; in addition to other violations falling within the Israeli policy against Palestinian prisoners. The Palestinian prisoners in the Israeli jails declared today moving to the hardest choice which is starting a hunger strike until their minimum human demands are met. Statistics available at the Palestinian Center for Human Rights (PCHR) shows that about 1,500 prisoners in a number of prisons and detention facilities has declared starting a hunger strike claiming a number of human demands, the most prominent of which are, inter alia, putting an end to the solitary confinement policy, offering medication to sick prisoners, constant communication with their families, ending arbitrary and degrading measures against female prisoners, receiving magazines and newspapers permanently and the right to education. It is expected that other prisoners would join them in their hunger strike which was described as a rolling strike. Furthermore, data and statistics available at PCHR indicate that over 6,500 Palestinian prisoners have been detained in 22 prisons and detention facilities, the majority of which are located in Israel in a clear violation of article 76 of the Fourth Geneva Convention that obliges Israel to detain the prisoners of the occupied country in their country until they serve their sentences therein. The majority of the prisoners are from the West Bank, including 57 women and 300 children. Moreover, the number of sick prisoners reached about 1,800, including 180 suffering from serious illnesses and 26 having cancer. The Israeli authorities continued to place 500 under administrative detention in the Israeli prisons, including 15 members of the Palestinian Legislative Council (PLC) and former ministers, in a clear violation of their right to fair trial and right to receive adequate defense and be informed of the charges against them. The violation of the right to fair trial is part of the administrative detention policy implemented upon an administrative without a court ruling in a way that violates the fair judicial procedure. PCHR, on this day, draws attention to the increasing violations committed against the Palestinian prisoners and the poor conditions under which they live in view of the Israeli authorities’ insistence to violate the rules of the international humanitarian law and principles of human rights to which Israel is a state party. PCHR further highlights that the international community’s silence encourages the commission of more violations without accountability. 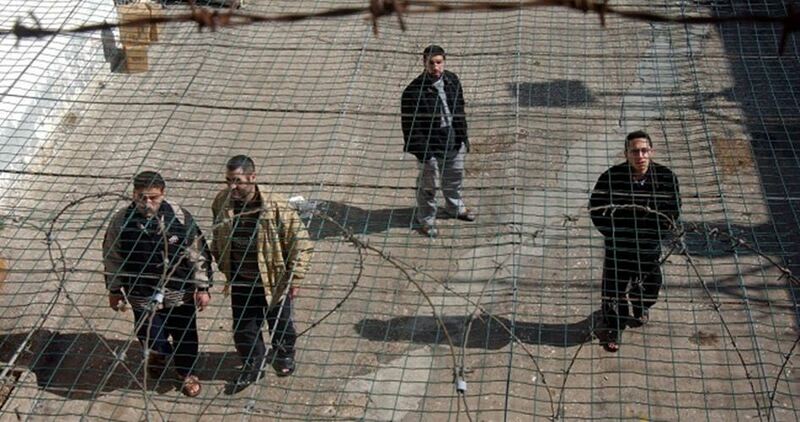 -The UN bodies, International Committee of the Red Cross and international community to pressurize Israel to improve the detention conditions of the Palestinian prisoners, stop torture and open prisons to observers until prisoners are released. 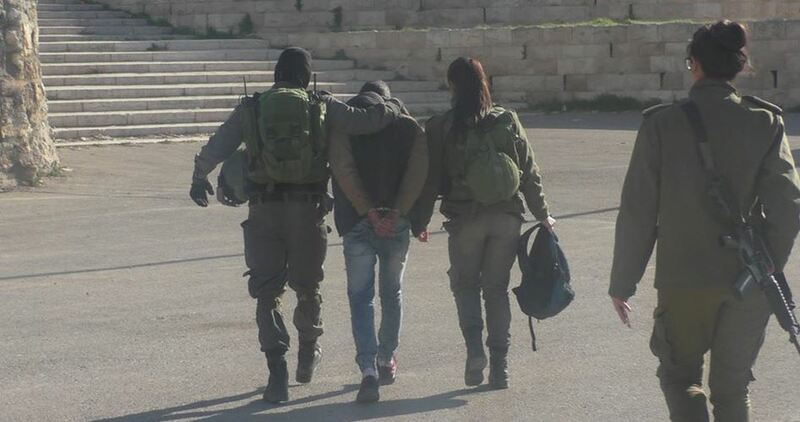 Israeli Occupation Forces (IOF) arrested on Monday afternoon three Palestinian young men in Nabi Saleh town, north of Ramallah. Eyewitnesses told the PIC reporter that the IOF soldiers erected a military barrier close to the town and searched passing Palestinians. The three detainees were taken to an unknown destination amid a state of tension prevailing in the town, the eyewitnesses pointed out. 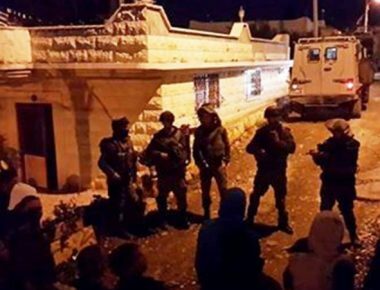 IOF soldiers routinely raid Nabi Saleh town and set up checkpoints at the town's eastern entrance. Arab Organization for Human Rights in the UK (AOHR UK) revealed Monday that Palestinian prisoners detained in Israeli jails are being held under inhumane and tragic conditions as part of Israeli policies to deprive prisoners of all the rights they are entitled to under the terms of the Geneva Conventions. According to the Organization, more than 6,500 Palestinians are currently being held at 22 Israeli jails, including 300 minors, and 62 women. 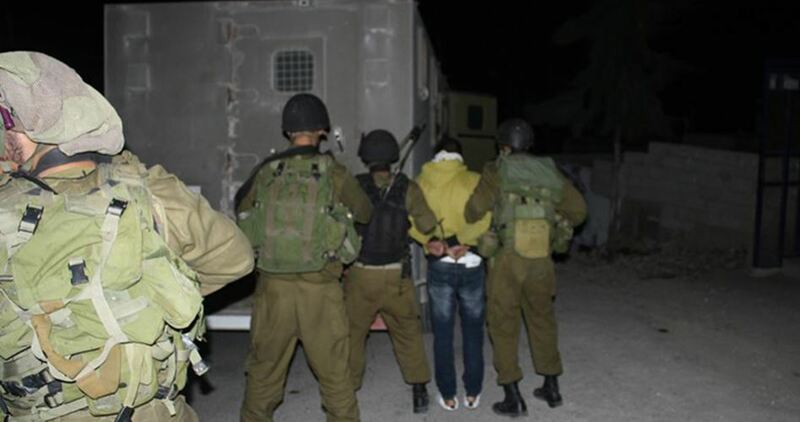 At least 500 of the prisoners are held under the provisions of the so-called “administrative detention”, it added, noting that more than 248 Palestinians have been administratively held since the start of 2017. 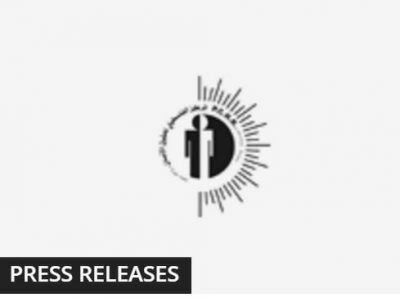 The Organization remarked that it was imperative that the issue of Palestinian prisoners be referred to the International Criminal Court (ICC) because all of Israel’s oppressive measures against prisoners constitute war crimes and fall within the jurisdiction of the ICC. The failure of the Palestinian Authority (PA) to file a complaint with the ICC raises a lot of questions about its commitment to the cause, AOHR UK said. The Organization also urged the international community to intervene with Israeli authorities to ensure prisoners’ demands are met and their rights as prisoners of war, as guaranteed by international conventions, are fully protected. As Palestinian prisoners are expected to go on mass hunger strike in all Israeli prisons, Israel’s Public Security Minister Gilad Erdan decided Sunday to regroup the prisoners in Negev jail and to establish a field hospital outside the prison. “I have instructed the prison service to act in any way to contain the strike within the walls of the prisons,” Erdan said. Adequate medical support will be provided to prisons to avoid the need to move striking prisoners to civilian hospitals as required by the Israeli Health Ministry, according to his statements. Thousands of Palestinian prisoners held in Israeli prisons are expected Monday to begin a mass hunger strike called by jailed Fatah senior official Marwan Barghouthi. 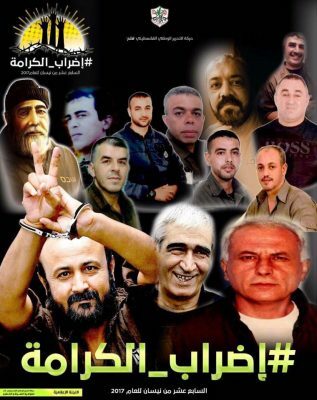 The hunger strike coincides with Palestinian Prisoners Day, an annual event held in solidarity with the more than 6,500 Palestinian prisoners in Israeli jails including 58 women, 300 children, 500 administrative detainees, and 1,800 sick prisoners.